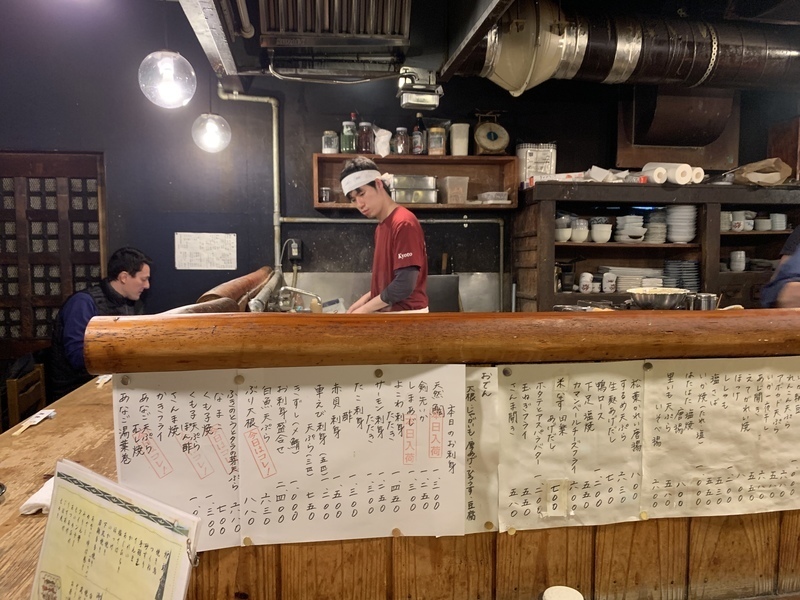 For our last dinner in Kyoto, we stopped by our favorite izakaya in the area, Kurakura. This is a favorite with locals and we were lucky to have a local friend join us for dinner. We started with a house appetizer of potato salad, stewed tuna, and black sesame tofu. 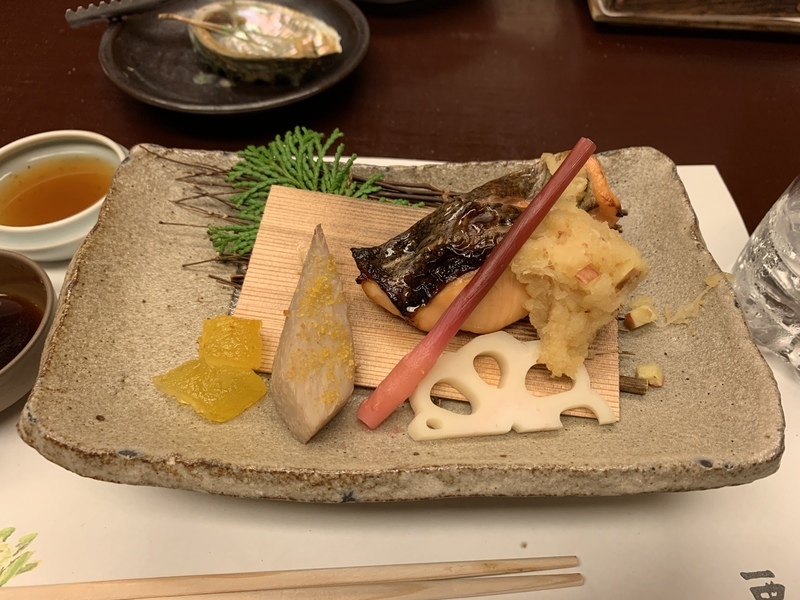 We then moved on to eggplant stewed in dashi, little fish tempura, a healthy tuna salad with a tangy sesame dressing, fried renkon, large grilled squid, and grilled ayu (sweet fish). All simply prepared and delicious. 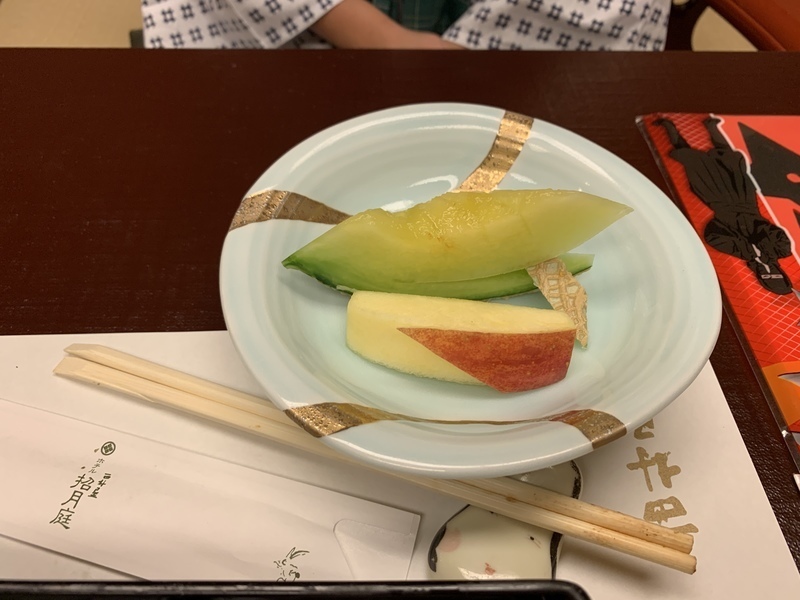 For dessert, we were treated to homemade warabi mochi. If you ever get a chance to try this, do it! It's an amazing flavor that's not too sweet yet still quite satisfying as an end of meal dish. The next day, we were getting ready for our shinkansen back to Tokyo and decided to grab lunch at Kyoto station. We had not yet enjoyed tonkatsu so wanted to have that. 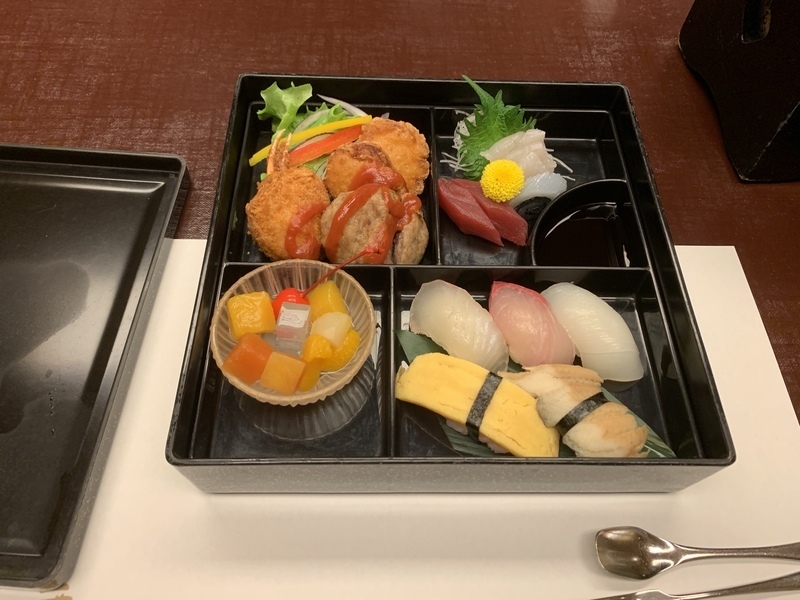 Our local friend recommended their reigning favorite, Katsukura at Kyoto station. 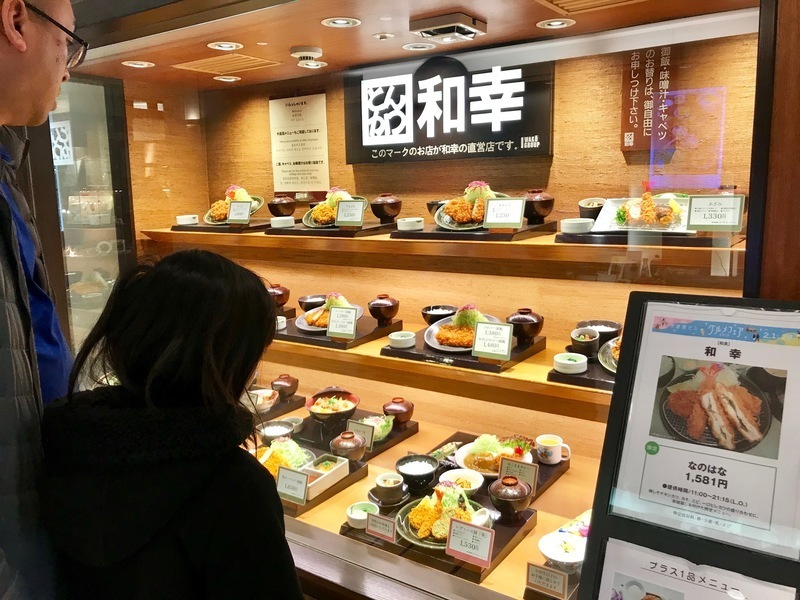 However, we got lost amidst the rows of restaurants at The Cube mall attached to the station and ended up at another tonkatsu place, Wako Isetan, by mistake. Not a bad thing since it was really good! This place is super kid friendly with toys and candy for my daughter alongside a hearty kid's meal. I decided on the standard kurobuta (black pig) while my wife got a set that included tempura shrimp and clams. A great way to fill us up for the train ride back to Tokyo! 7-11 in Japan is an essential place for us. Not only does it provide free Wi-Fi but it also has ATMs that accept foreign debit cards. Most Japanese ATMs will not accept foreign debit cards so only those from 7-Bank (7-11's bank), the post office, or at some other convenience stores like Lawsons or Family Mart will work for us (though 7-11 ATMs are the only ones that are guaranteed to work). The other major benefit of 7-11 is the cheap and high quality food. Picture freshly made, high quality sandwiches, onigiri, and even oden (veggies, eggs, tofu, fishcakes, etc. 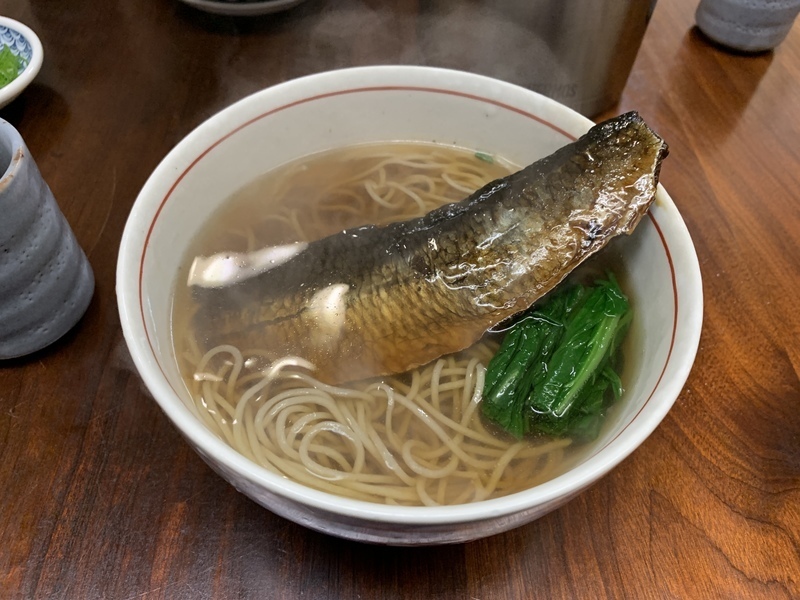 cooked in dashi broth for hours). 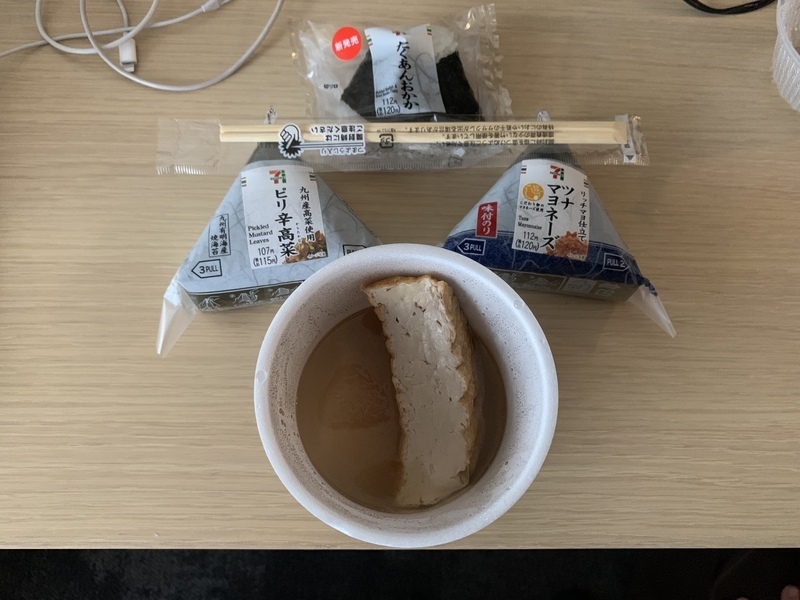 We got 3 onigiri and a container of oden for less than $5 which was a perfect quick breakfast for us. Our coffees from Starbucks were more expensive! 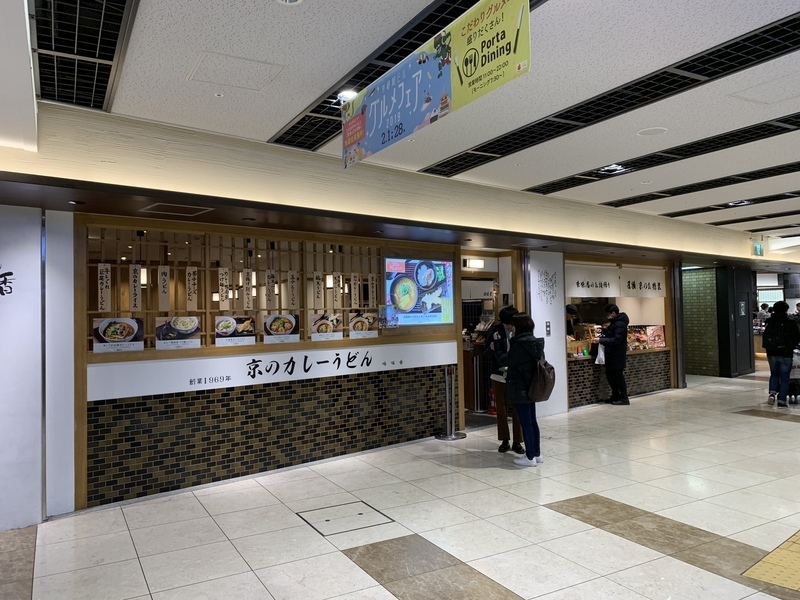 For lunch we went to Kyoto Station to have curry udon at Mimikou. Hearty and satisfying on a cold day. Plus they give you bibs which was necessary to slurp these noodles up without staining your shirt with curry sauce! Every time we’re in Kyoto, we make the quick train ride over to Yamazaki to buy whisky at the Suntory Distillery. 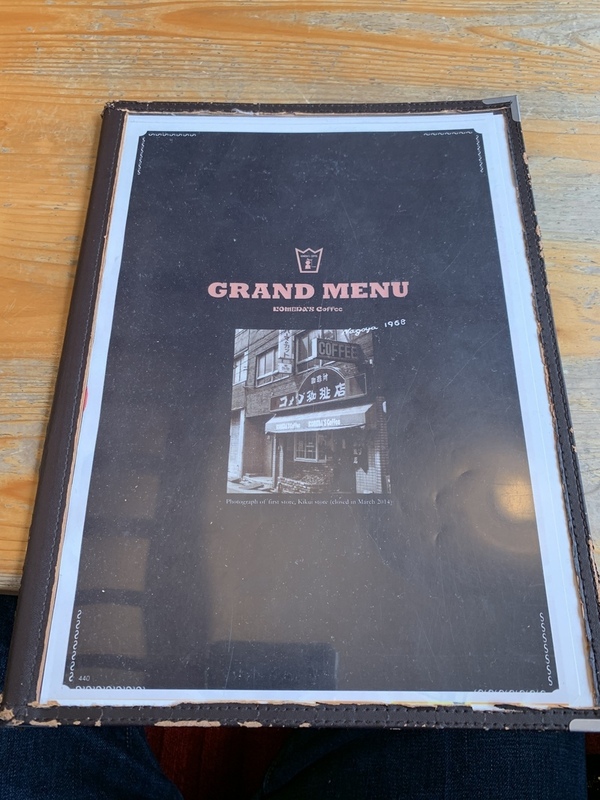 For breakfast, we headed to our favorite coffee shop, Komeda’s Coffee, for some good strong coffee and the best egg salad sandwiches. New on the menu was a hearty tonkatsu sandwich which was crispy and juicy. The little one got her usual flaky pastry with soft serve on top, this time with strawberry sauce on top. Seems strawberries are in season! With the popularity of Japanese whisky at an all time high, there are no longer good buys at the distillery itself. Aged whiskies are pretty much gone and the bottles that can be bought at the distillery can also be bought at most shops in Japan. Instead, the reason to go visit the distillery (besides the beautiful nature) is to drink some of the best whiskies in the world at extremely reasonable prices. 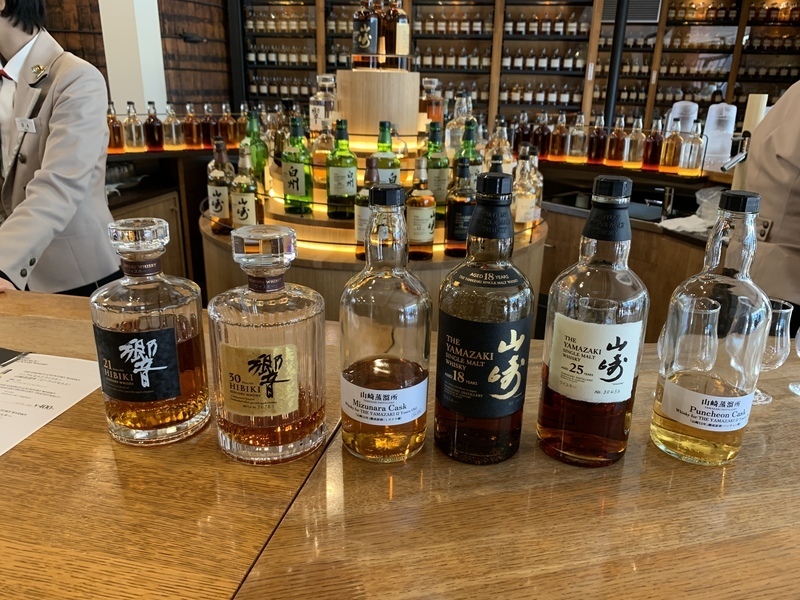 Below is my line up of pours which ranged from a 12 Year Puncheon Cask (extremely good and can only be had at the distillery) to a 30 Year Hibiki. Prices ranged from as little as 300 yen (less than $3) to at most 2,900 yen (about $26). I've seen places in the states charge $15-$20 just for a pour of 12 Year Yamazaki so $26 for a pour from a $3,000+ bottle seems like a pretty good deal to me. After our first night's dinner, our server asked if we wanted a similar crab/beef dinner for the next evening and we decided to forego that. We figured there would be similar dishes with some of the crab/beef dishes swapped out. 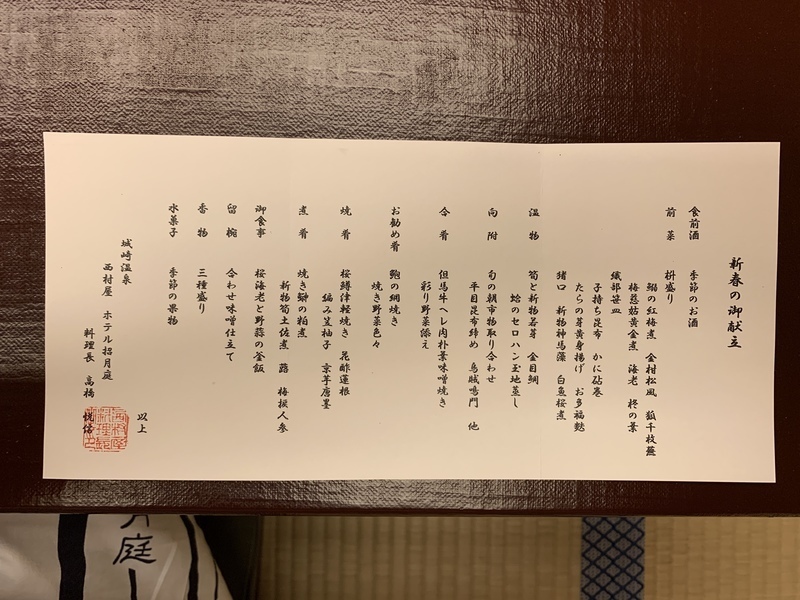 To our delight, we were treated to a completely different menu with no repeats of the night before. My daughter's meal was also varied to include nigiri sushi, different sashimi, and a sizzling beef plate. Our meal started with a lovely set of mini bites which included a playful little face made from mochi. We next got a dish wrapped in a plastic bag which turned out to be a chawanmushi egg custard. This was followed by a sashimi course with completely different fish from the night before. 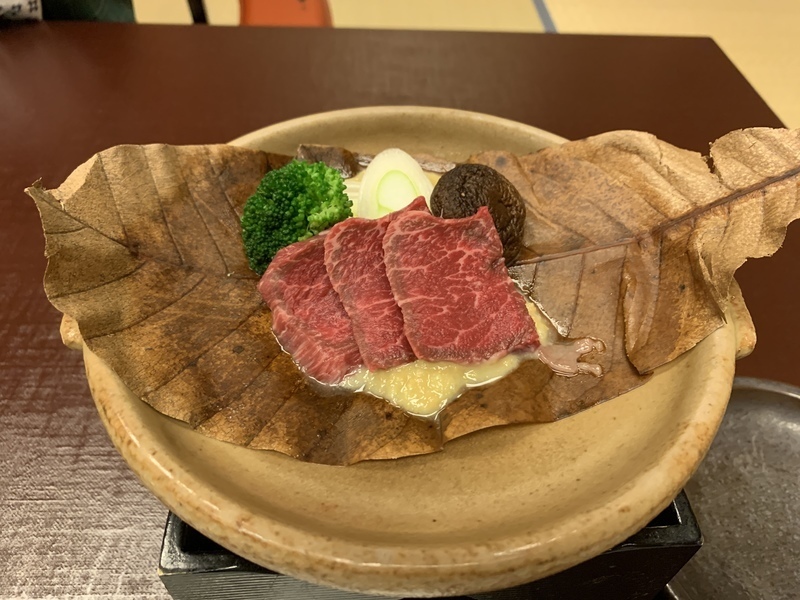 Moving on to hot dishes, we had a steamed beef dish cooked on a large leaf which imparted a nice charcoal flavor. However, it was the next hot dish that surprised us. 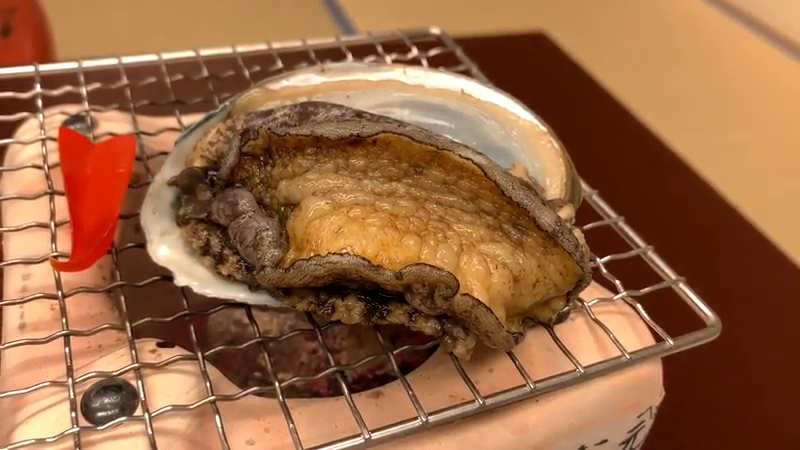 We were each given a live Japanese abalone which we grilled over charcoal. It was a pretty decadent dish and I felt a little bad since I'm not a huge abalone fan. Still, it was definitely an experience to behold and eating a whole abalone with its liver was definitely a treat. Our final two hot dishes was a very nice grilled salmon with crispy skin and a steamed white fish in dashi. Both flavorful and a nice contrast from each other. We rounded out the savory portion of the evening with a pot of rice cooked with fish for me and little shrimp for the wife. This went nicely with a hearty red miso soup and pickles. Our dessert was just simple seasonal fruit with a strawberry sauce. They even had a nice little gift for my daughter! A really great meal served impeccably with care and attention.